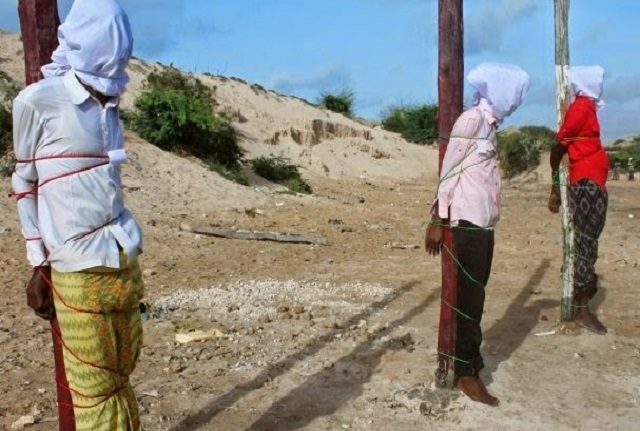 Reports have it that Indonesia has executed three Nigerians by firing squad for drug trafficking. The three Nigerians and one Indonesian were executed Thursday night in the city of Nusakambangan, despite ap­peals for mercy by the internation­al community. Three more Nigerians are among 10 other convicts on death row – awaiting the firing squad. BBC reports that the remaining 10 convicts are expected to be put to death in the coming days. Altogether, the 14 condemned persons include six Nigerians, four Indonesians, two Zimbabweans, one Indian and one Pakistani. The Island nation of Indo­nesia ignored appeals from family, rights advocates and foreign governments to aban­don plans to execute the six Nige­rians and eight other nationals for drug crimes. Indeed, as preparations inten­sified at the prison island holding the death-row inmates, a convoy of ambulances, most of them car­rying coffins, arrived on Thursday morning at the port town nearest to the Nusakambangan prison island, where the mostly foreign drug con­victs are executed by firing squads. Officials began tightening se­curity at the prison several days ago, with more than 1,000 police sent to Cilacap, the port town, and the island. 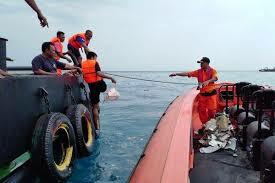 Indonesia plane crash into the sea with 189 aboard.